Sydney Taps offers a Great Range of Quality and Designer Vanities, Bathroomware, Tapware, Showers, Toilets, Basins, Indoor and Outdoor Tiles, Baths and Bathroom Accessories. Sydney Taps offer a great range of quality designer bathroom, kitchen & tile products which reflect the latest trends, providing quality products sourced from local & imported manufacturers, Our preferred brands include Abey, Gessi, Armando Vicario, Faucet Strommen, Phoenix, Fienza, Oliveri, Decina, Timberline, ADP, many others. Our new showroom is located in the heart of the city at 502 - 504 Botany Rd, Alexandria NSW 2017. Our experienced friendly team provide expert advise, friendly service & a knowledge base of quality products. We specialize in providing special orders to cater for your exact needs & have access to thousands of items through our reliable distributors. We have an excellent reputation within the industry based upon the track history of our prices, range of products and our service. We keep a large volume of stock in our warehouse facility, ensuring our customers receive a swift and quality assured service. All orders are dispatched from our premises by experienced warehouse assistants and inspected before dispatch. 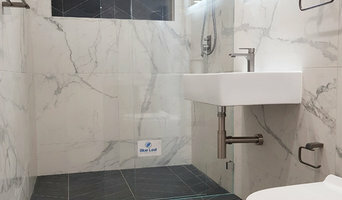 As the leading tap and bathroom retailer in Sydney, our mission is to continuously provide our customers with the up most respect, satisfaction of excellent price, professional service and prompt delivery Australia wide. We at Sydney Taps strive to provide an outstanding service, quality items and customer satisfaction. Prodigg is one of Autralias leading online Bathroom stores. The store boasts a rich 500 plus product range to allow Australians direct online access to the finest products, which are delivered straight to their door, with a saving of up to 60% on similar products from retail competitors. Prodigg head quartered are based in Sydney. The company was created to give Australian home designers access to the same great deals, top-quality, cutting-edge and inspired interior and exterior home design products as their European counterparts. Blue Leaf Bathware was established out of a need to supply create quality, style and simplicity all at an affordable price with service unmatched by our competitors. At Blue Leaf we believe successful interior design depends upon the unique personality and understanding of each client. Appreciating one’s lifestyle, and how the space interacts and functions within the home. We have a strong ethic to try and make the design process an enjoyable one, highlighting the passion for detail and innovation, and bringing designs to life. 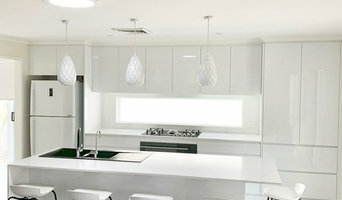 We proudly invite you to see our beautiful displays in our showroom located at 4/88 Violet St, Revesby. Blue Leaf Bathware & Tiles - Enjoy it your way! We are a recognised kitchen manufacturer located in Prestons providing custom built kitchens and vanities for residential and major developments. We have the latest fittings and gadgets to make any kitchen stand out. We have previously featured in the Channel 9 series "The Block" and numerous publications. It’s all about you. Embracing any imagination, Brodware offers Bathroom, Kitchen and Laundry design solutions which redefine your living space. Our extensive variety of custom finishes enable you to realise your vision for your bathroom. Many of Brodware’s products are DDA compliant and a full range of washroom products are available in the Brodware Community. With over 50 years of experience we make everything to perform to a very high standard for over a far longer than average operational life. Our products carry an industry leading 20 year Warranty. Exceptional value and quality that you can count on. That’s the Brodware difference. Our services includes the retail supply of; bathroom fixtures, showers, baths, toilets, accessories, timber doors, hollow doors, mouldings and architraves, door locks, hinges, tiles, adhesives, waterproofing, angles, solid surfaces, laminates, hot and cold water filter solutions, laundry sinks and cabinets, kitchen sinks and the manufacturing and supply of; kitchens, wardrobes, walk-in wardrobes, commercial fit-outs, desks, entertainment units, and wine cellars. We use and sell only the best material and offer solutions to fit most budgets so don’t hesitate to contact us. The team at SHC are highly motivated in helping their clients and will like to be involved in your next project. Our service is second to none and our friendly staff take great pride in assisting customers no matter how small or large the project is. We offer an array of locally manufactured products along with imported goods in order to satisfy all of our customers’ needs. Contact us on info@sydneyhomecentre.com.au to see how you can save. We meticulously work on products that often are not visible – used inside furniture cabinetry – but provide superior functionality in many places in the home. Our hardware solutions provide ergonomic and smooth movement, safety and convenience – designed and made to last. The secret: awareness of quality, inspirational innovation, constant dialogue with our customers, and reliability. Our staff act in line with these values. The result: Making living spaces work beautifully. MDC Water Pty Ltd provides water filtration solutions for all types of applications, from domestic equipment to industrial turnkey plants. We boast a wide range of technology expertise in all water-related sectors and guarantee a cost efficient solution to meet your water quality requirements. MDC Water Pty Ltd is a leading online supplier of water filtration parts, components, equipment and systems in Australia. Luxury homes require special attention to detail due to the complex and unique nature of the build. Our services guarantee exceptional quality with every project, on time and under budget. Contact our team today to see how we can help with your dream home. This service was created to provide our clients with an option to keep the essence of their existing home and expand on what makes their home unique. We provide a full introductory consultation so we can create a vision and strategy specifically crafted to what you’re looking for. 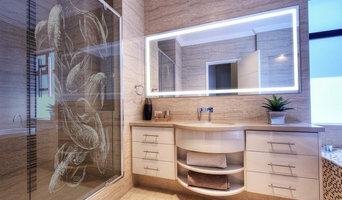 Established in 1997, we have built a reputation as one of Sydney’s leading specialist suppliers of local and imported designer bathroomware products. Two Sydney showrooms- Drummoyne and Crows Nest to better service our customers from home renovators, interior designers, architects and the building industry. We believe what makes us a market leader is our knowledgeable committed team, our industry experience and our comprehensive collection of highly regarded quality bathroomware brands; from renown companies such as Hansgrohe, Duravit, Gessi, Villeroy & Boch, Brodware, Victoria + Albert, Parisi and Hyrdrotherm just to mention a few; as well as keeping up with the latest bathroom trends and product releases in Europe where leading industry manufactures launch their latest innovative designs and technologies that will potentially steer the bathroom trends in Australia. We have a vast range of bathroom products from bathroom accessories, basins, baths, tapware, showers, heated towel rails, shower screens, vanities, toilets and plumbing hardware. The bathroom products we sell reflect our commitment to quality, design and the environment.